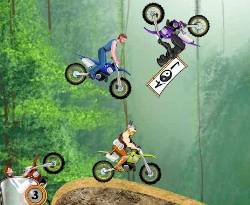 Play Moto Rush on Sportsroids Internet Arcade. This game is sweet. You may have played several difference games that are similar to this one, but I find that this is one of the best games out of the group. It’s difficulty and nitrous just makes this game more fun and interesting. If you love speed and games, you should love this game! Enjoy!